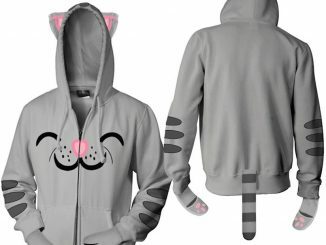 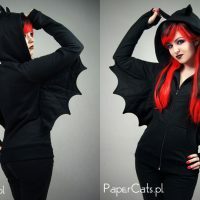 Na-na-na-na-na-na Bat Hoodie! 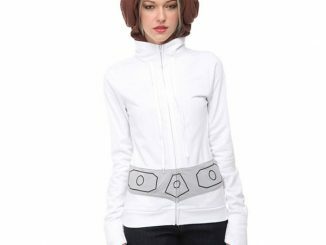 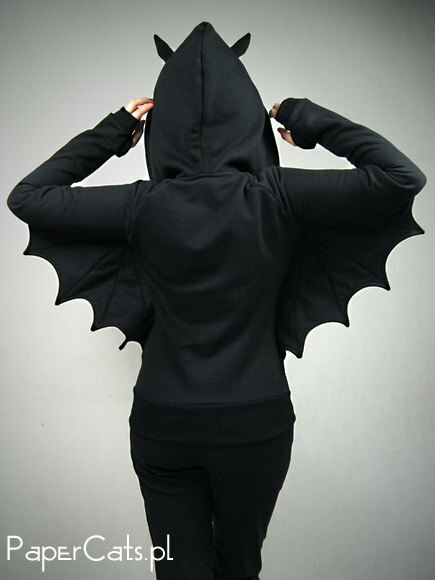 It doesn’t matter if you want to be Batgirl or a vampire or even a regular bat, this hoodie has the power to help you transform yourself. 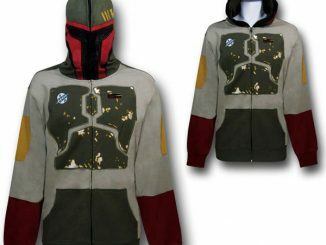 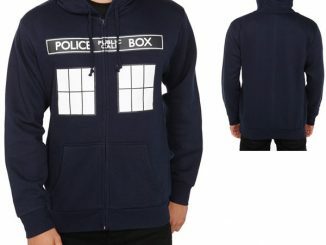 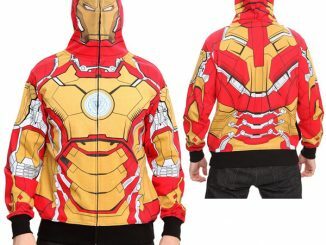 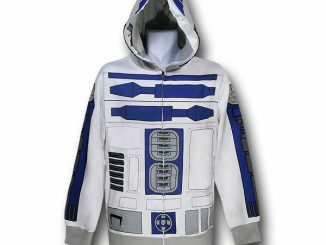 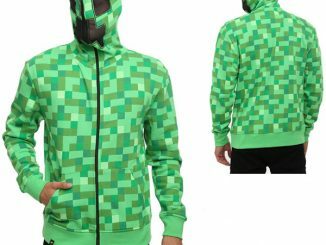 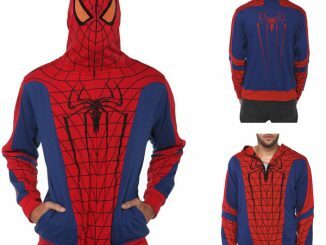 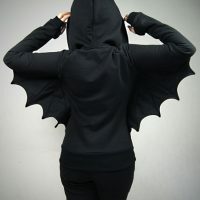 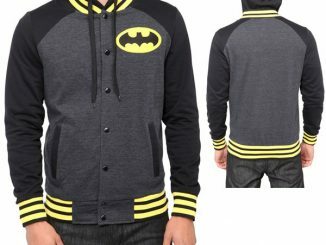 Made of black stable cotton, the hoodie features double hoods, a front zipper, and two big pockets to take the place of a utility belt, but what really makes this bit of clothing stand out are the little bat ears on the hood and the large bat wings under each arm. 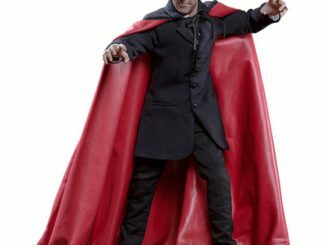 Strike the classic outstretched arm pose used by Batman, Batgirl, and Dracula to reveal the winged wonder that is you, or keep your arms at your sides to keep your secret identity safe. 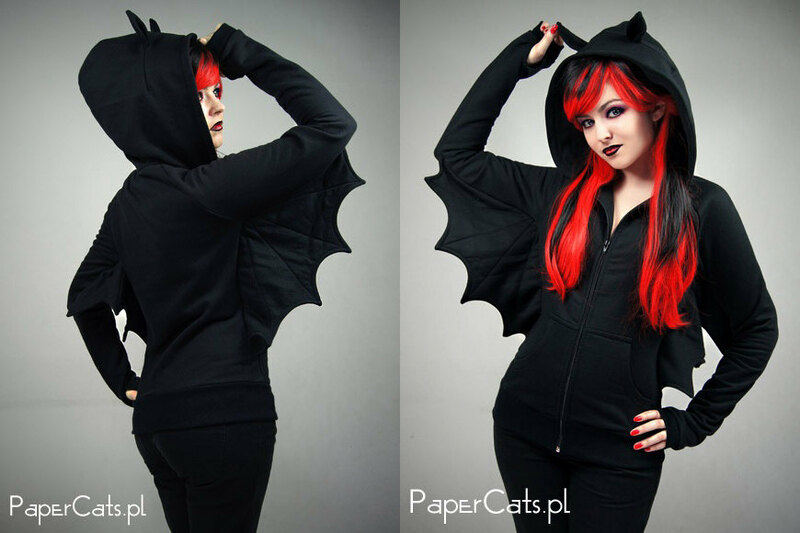 The Bat Hoodie is available for $75 at PaperCatsPL’s Etsy store.